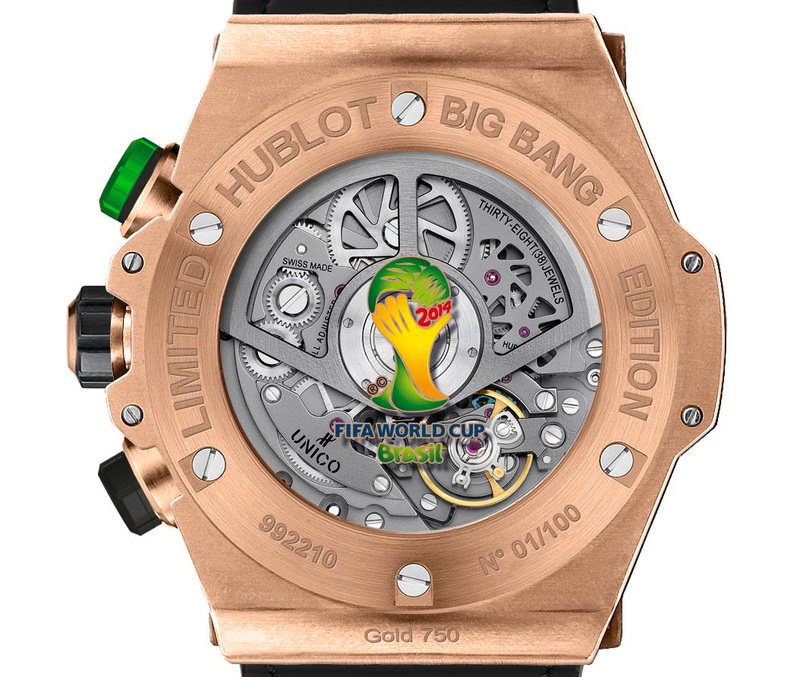 Hublot has just unveiled the official watch of the 2014 FIFA World Cup, the Big Bang Unico Bi-Retrograde Chrono, equipped with a new movement based on the UNICO calibre. A newly developed movement appears for the first time in the Hublot Big Bang Unico Bi-Retrograde Chrono. 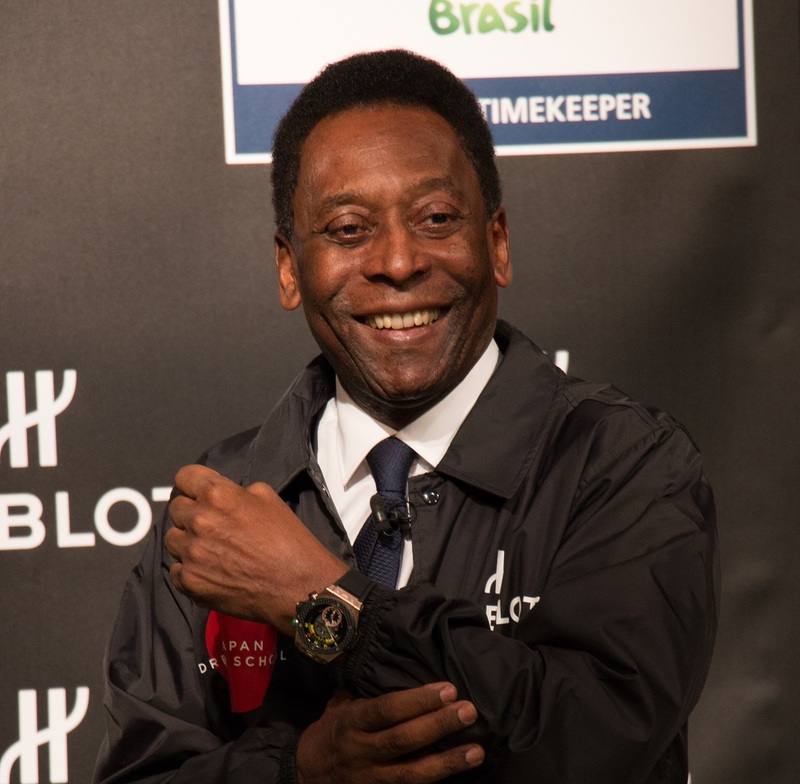 Just launched by Brazilian soccer legend Pelé, the Soccer Bang is the official watch at the upcoming 2014 World Cup in Brazil, taking place in June 2014. Based on Hublot’s in-house UNICO movement, the new calibre has a central, bi-retrograde chrongraph. Both the green seconds hand and yellow minutes hand are in the centre of the dial, and both jump back to zero upon reaching 60. Green and yellow being the colours of the Brazilian flag. The minutes track is marked out for 45 minutes, the length of a football match, with an additional 15 minutes for extra time. 0 to 15 on the minute track is also highlighted, since extra time is played in two 15 minute blocks. Therefore when a match starts, the chronograph is started, and then stopped and reset at the 45 minute mark when the first half ends. Upon the start of the second half, the process is repeated, unless there is extra time, which means the chronograph can be left running past 45 minutes. And the window at 12 o’clock indicates the particular segment of the match, the first half, half time, second half and match end. This display is adjusted via the pusher at two o’clock, which also starts and stops the chronograph. Reset is done with the pusher at four. A chronograph which distinguishes between the two 45 minute halves would have been much more accomplished and unusual. Instead this is essentially a conventional 60 minute chronograph with football markings on the counters. The time is displayed in a sub-dial at six o’clock, while the constant seconds are at nine o’clock. 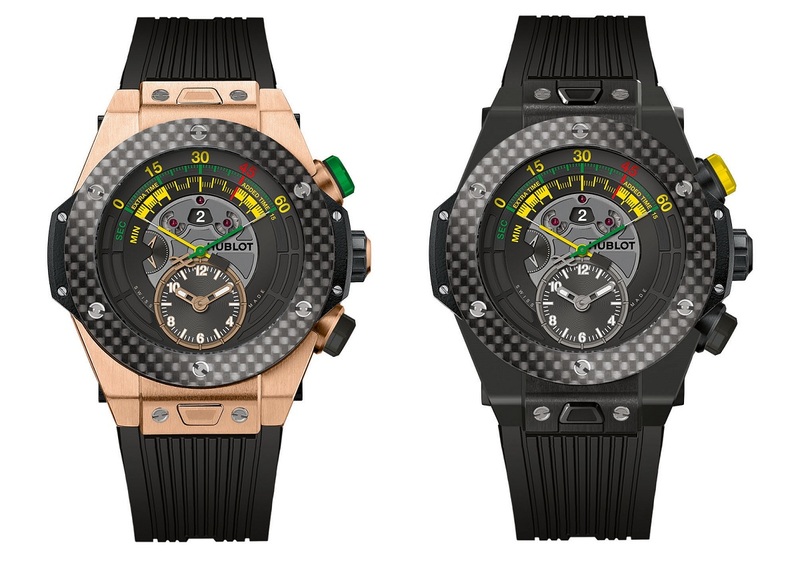 The 45 mm case is available in either gold or titanium, with a carbon fibre bezel and a rubber strap which can be removed and swapped with the press of button. The titanium is limited to 200 pieces and priced at 22,900 Swiss francs (~US$26,200). 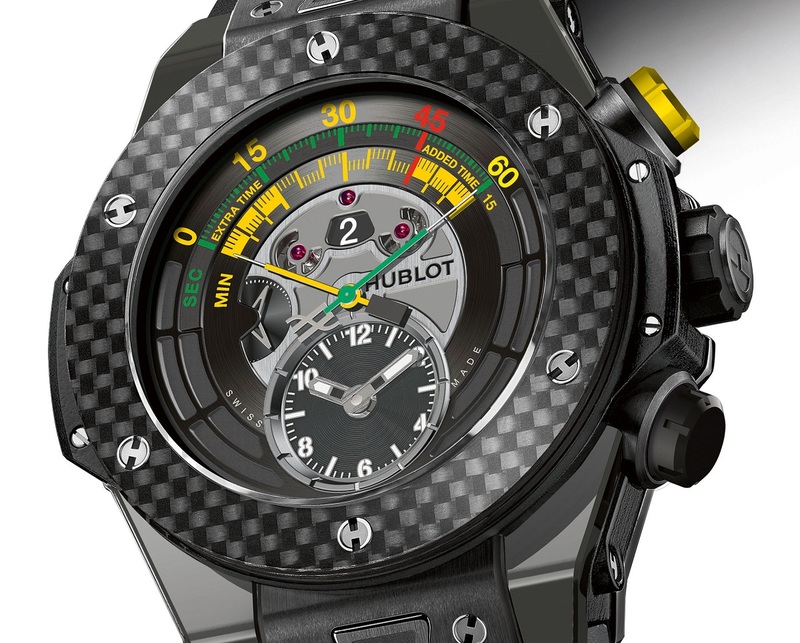 And the gold version is limited to 100 pieces with a price tag of 36,900 Swiss francs (~US$42,200).